Gardevoir in game: 1,330 Who? Important notice! 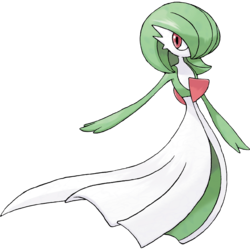 Pokemon Gardevoir is a fictional character of humans. 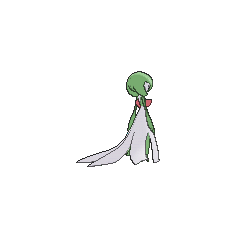 Gardevoir is able to see the future using its psychic powers. Additionally, it is able to compose small black holes, distort dimensions, and support itself without feeling the pull of gravity. Its power reaches its peak when protecting its Trainer, whom it will protect with its life. This Pokémon inhabits urban areas. Diantha has a Gardevoir which first appeared in The Bonds of Evolution!. It can also Mega Evolve into Mega Gardevoir. Gardevoir's debut anime appearance was in Do I Hear a Ralts?. It was the parent of the sick Ralts that Max and Ash's Snorunt were taking to the Pokémon Center. A Gardevoir belonging to Melodi appeared in Mutiny in the Bounty. It was stolen by Pokémon Hunter J. It proved to have a deep psychic connection with its Trainer and was able to hear her through thought. 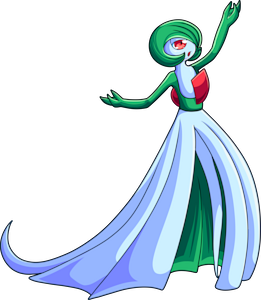 A Gardevoir under the ownership of Concordia appeared in Team Plasma's Pokémon Manipulation!, Secrets From Out of the Fog!, and What Lies Beyond Truth and Ideals!. A Shiny Gardevoir that can Mega Evolve into Mega Gardevoir appeared in Volcanion and the Mechanical Marvel, under the ownership of Kimia. 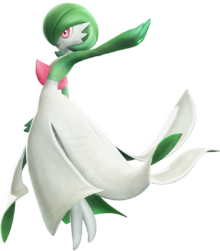 Gardevoir made its debut appearance in a cameo in Destiny Deoxys. A Coordinator's Gardevoir appeared briefly in Spontaneous Combusken competing in the Chrysanthemum Contest. A Gardevoir appeared in the opening scenes of the last Diamond & Pearl series movie, Zoroark: Master of Illusions. A Trainer's Gardevoir appeared in Cilan and the Case of the Purrloin Witness!. A Gardevoir that can Mega Evolve into Mega Gardevoir appeared in Mega Evolution Special I. A Gardevoir appeared in SM003, during a fantasy. BW118 Gardevoir Ash's Pokédex Gardevoir, the Embrace Pokémon. 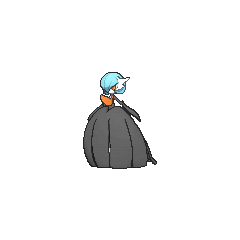 If Gardevoir's Trainer needs protecting, Gardevoir composes a small black hole by using all of its psychic power. 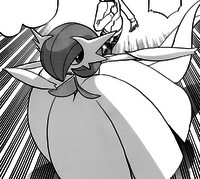 The Kalos Champion Diantha, owns a Gardevoir that can Mega Evolve into Mega Gardevoir. In Omega Alpha Adventure 0, Ruby's Kirlia, Rara, evolved into a Gardevoir while training alongside Sapphire's Kirlia, Kirly. 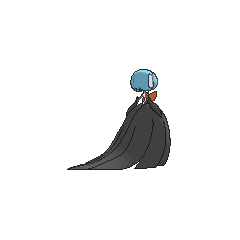 In PAORAS20, she received a Gardevoirite from the Meteor Village Elder, allowing Ruby to Mega Evolve her into Mega Gardevoir. 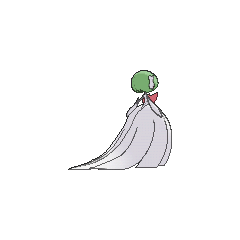 Gardevoir reappears as a Poké Ball summon in both versions of the fourth iteration of the series. Once again, it will use Reflect to bounce off projectiles. 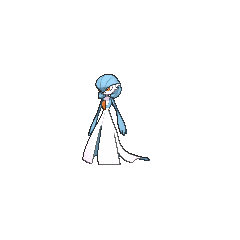 PAL: This Psychic- and Fairy-type may look like a woman in a long dress, but there are both male and female Gardevoir out there! If you get one in battle, it'll use Reflect, composing a barrier that stops projectiles from hitting you and your allies. It won't block any of your shots, though, so feel free to fire all the projectiles you like! 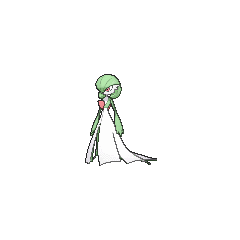 Gardevoir has the psychokinetic power to distort the dimensions and compose a small black hole. This Pokémon will try to protect its Trainer even at the risk of its own life. To protect its Trainer, it will expend all its psychic power to compose a small black hole. 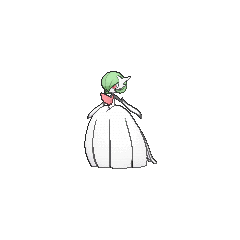 When Gardevoir closes its eyes and focuses, it composes two copies of itself. Erases Pokémon in the five columns to the left and right. 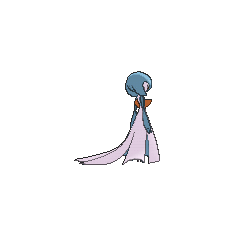 Mega Gardevoir has the highest Special Attack base stat of all Fairy-type Pokémon. 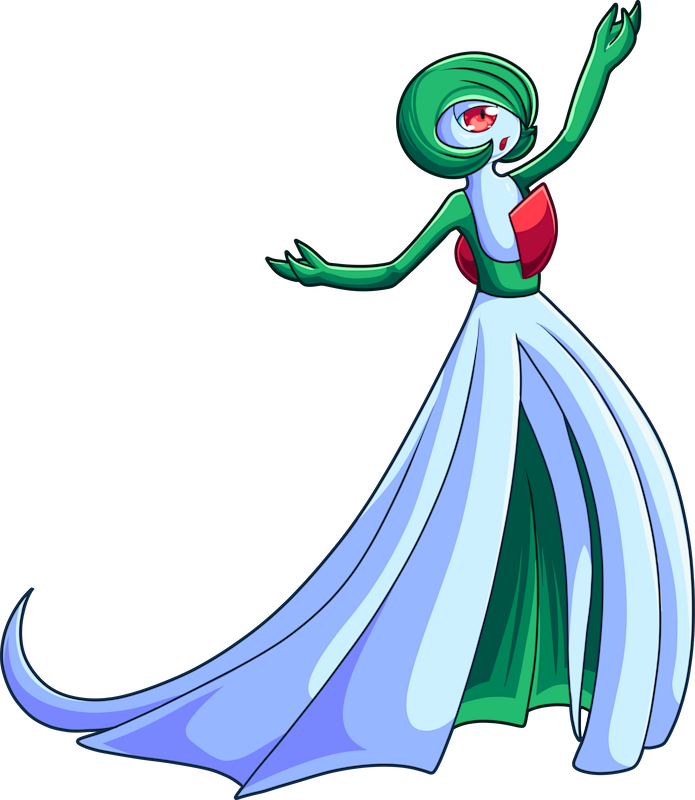 Gardevoir resembles a principal dancer. Its exaggerated head with minimal facial expression and an overall frail, featureless physique could also be attributed to anesama ningyou, a style of traditional Japanese paper doll. Its protective nature over its Trainer may suggest that it is based on a guardian angel, though its ghost-like characteristics could also suggest that it is based on ghosts that refuse to leave this world.